Chant with me: "Clear, Cool and Dry"
One more day, and I can hardly wait! 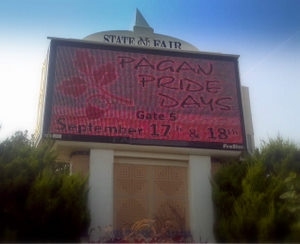 At 10:45am on Saturday morning, the gates open on two days of music, shopping, rituals, workshops, new friends and more. Admittance is one item for the food bank, so hop in your car, grab a cab, or flag down a bus and head over for a weekend of fun and maybe some accidental education.